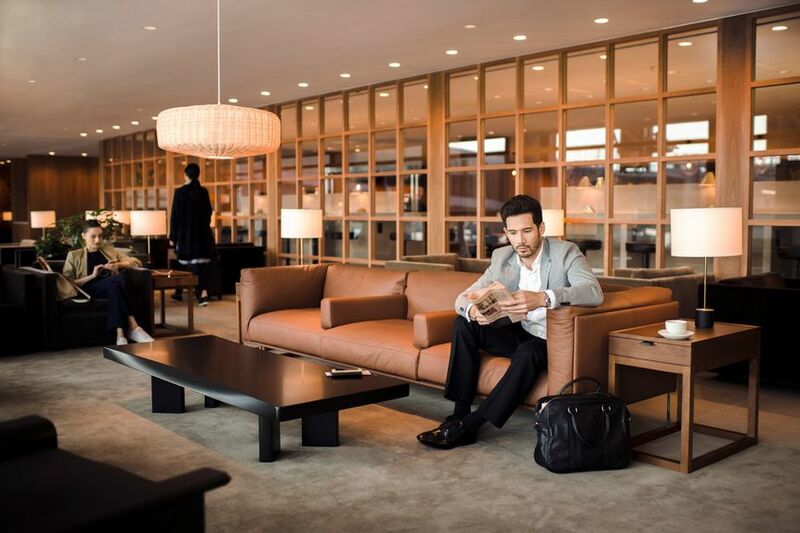 Cathay Pacific is expanding its roster of business class lounges into which passengers can pay their way – including its flagship The Pier in Hong Kong – for HK$600 (A$106) per person, or 9,000 Asia Miles. From Monday 4 March until the end of June 2019, Marco Polo Club members travelling on Cathay Pacific and Cathay Dragon flights will be able to purchase access to eight Cathay Pacific airport lounges around the world, even if they're not flying in a premium cabin or don't hold the appropriate frequent flyer status. The offer includes access for any number of accompanying guests, which many status travellers will find useful if they want to guest several colleagues into the lounge. The promotion is restricted to members of Cathay Pacific's Marco Polo Club loyalty program – and while this has a USD100 (A$139) signup fee, complimentary Marco Polo Club membership is available through the Cathay Pacific Business Plus scheme, which is free to join and open to any Australian business with an ABN. For access to The Pier business class lounge in Hong Kong, travellers need to pay at the check-in counters in Terminal 1 or at the transfer desks in areas E2 or W1 (circled below) if they're coming off another flight. Payments are not accepted at the lounge itself. Transit desks at E2 and W1 circled. The Pier lounge is near Gate 65. For all other lounges included in this offer, make your request at the lounge reception and pay on the spot. In all cases, you’ll only be able to pay with credit cards, although Cathay Pacific notes that some credit cards are not eligible for payment depending on the lounge's location. Access is for one-time entry only – you won’t be able to enter and leave as you please – and is subject to capacity restrictions. Cathay Pacific has previously trialled paid lounge access in Melbourne, Manila and Vancouver, but this is the first time The Pier flagship lounge has been opened up for paying passengers. If you’re not flying with Cathay Pacific or don’t have Marco Polo Club membership, your options at Hong Kong include Plaza Premium pay-in lounges which are accessible by Priority Pass, as well as the American Express Centurion Lounge. if people would pay $50 for a QF lounge pass on *bay then pier @ $120 is probably justified. Seriously, who wants to go to CX Melbourne lounge. It's crap and SQ lounge isn't that good either. The best is still EX, EY and QF. Those CX and SQ desperately needed a major uplift to be on the game! This is a good idea for the larger lounges where there's plenty of room such as The Pier, it might also work at London Heathrow, but I think the price is just too high. Of course some business travellers will be able to 'expense it' or include in their travel allowance or per diem so it won't be an issue for them but I would find HKG$600 way too much even for The Pier, although half that would be a no-brainer for me and many others. The cost of entry should be geared to suit the lounge. Any of Cathay's new-look lounges like The Pier, Manila, London, Vancouver, Haneda, Bangkok and Taipei are great. I would actually expect The Pier to have a higher entry fee than the others because of its top line facilities. But no way should an older lounge like Melbourne attract the same fee as any of the new lounges. So one could argue HK$600 (A$106) is equal to 9,000 Asia Miles which is the redemption award rate for CX business class lounge access. Understandably ,the charge is high enough to ensure that the lounge won t be flooded with masses of travellers ,which in turn will jeopardize the aim for which the lounge was incepted originally . CX lounges in HKG are still by far the BEST ever that the world has ever seen so far on Earth ,so they are keen on preserving their uniqueness and calm with a carefully controlled access policy .I salute the initiative ! Two weeks ago I was turned away from the Bridge( I was informed there were several delayed flights) and a week ago The Pier due to overcrowding . As a Marco Polo Member it would seem the airline once again is ensuring the most loyal remain disgruntled. Overcrowding is a major concern. I do admire CX in all their initiatives and general vision ;altough Singapore Airlines provides by far the BEST ever inflight experience in all cabins ,they still have not managed to beat CX when it comes to lounges ;no way to compare Silver Kris lounges to any CX lounge in HKG ...CX beats them all . 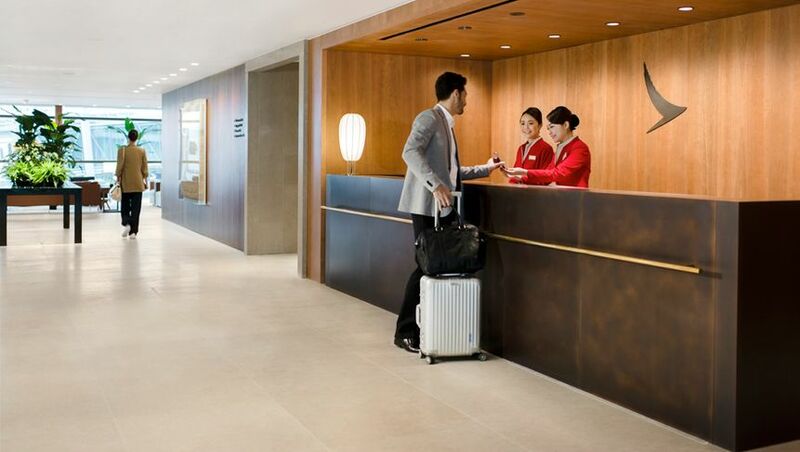 Comment on "Cathay Pacific opens up paid access to more business class lounges"